Days before converging on our home for a family gathering this summer, both of our sons called me. “What is your favorite expectation about coming home?” I asked each of them. It’s no accident that they feel this way. 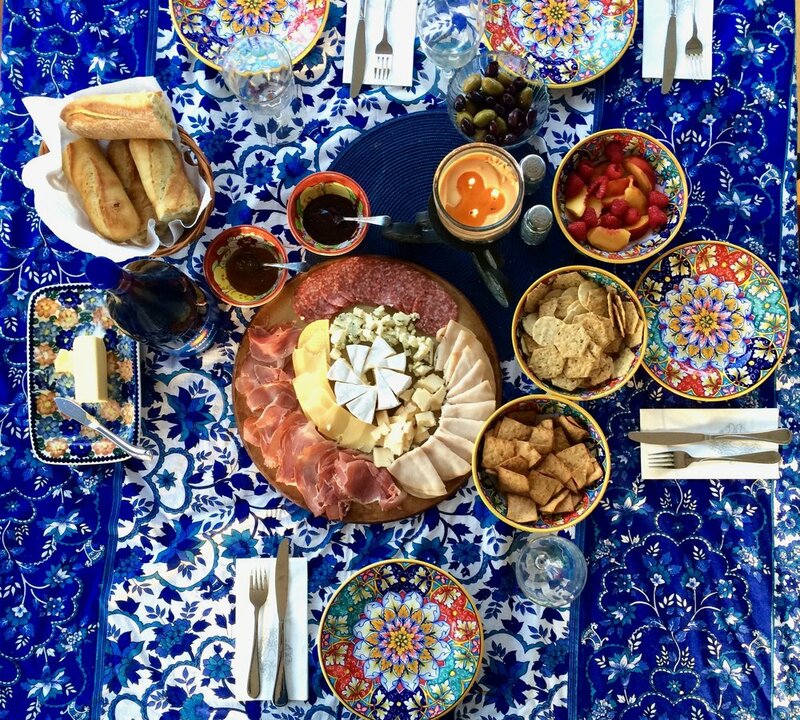 Creating a lifegiving table in our home was a priority for me from the very beginning, and I put effort and intention into making it happen. In The Lifegiving Table, join me as I share the lessons my family and I cultivated carefully through years of sitting down together; cooking, baking, and preparing meals; and practicing the disciplines of teaching manners and fostering conversation. You’ll discover the legacy of creating a lifegiving table in your own home, as you knit your hearts together to form tight bonds that will not easily be broken. Because we want to support our small groups, and we love building friendships over book clubs, if you purchase five or more copies of Lifegiving Table for you and your friends, you will receive a special downloadable PDF with questions to stimulate Table talk with your children, and a lovely PDF for tea time discipleship to refer to when you have your special times with friends. Stay tuned for more info soon! Click your time zone below to download your invitation, and make sure to share it with your friends! 1. Share something about The Lifegiving Table book on any social media medium you regularly use between September 5th and October 3rd, AND leave a comment on any blog post during that period that you have posted on social media, and we will enter you in for all of the prizes. You may post multiple times on social media for more entries, just make sure to comment on blog posts on sallyclarkson.com every time that you do! That is the only way we can enter you in to the context. 2. Enter our Instagram contest. See graphic below for more details. To be eligible, you must become a subscriber of sallyclarkson.com, as we want our winners to come from our community here. - The contest winners are picked randomly, using a number generator. All submissions have an equal opportunity to win any of the prizes. - For the two grand prizes one winner will be selected from each contest (one from the social media contest, one from the Instagram picture contest). - There are no exceptions to these rules, except at the discretion of the contest administrators. Two airplane tickets to Denver, transportation to a hotel near me with a night stay, and a day with me at my home and table for mentoring and fun! 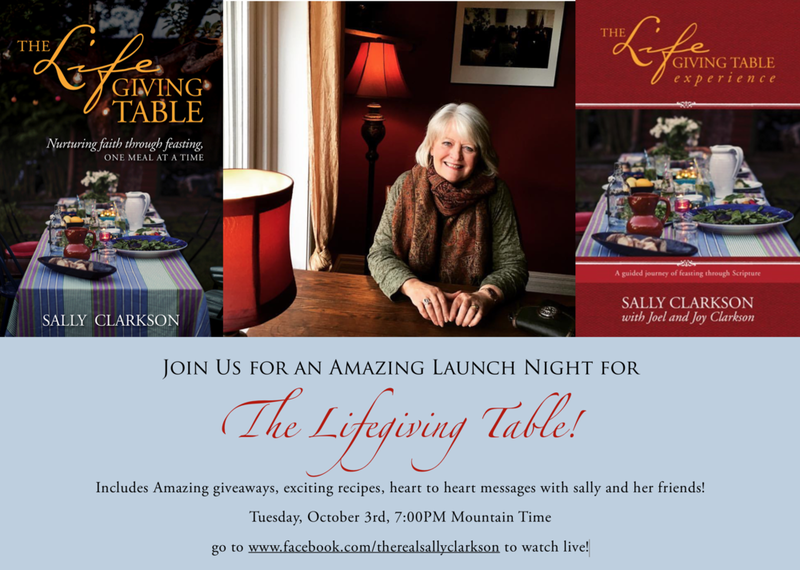 We will discuss the rhythms and traditions in the book and I will answer your personal questions about creating a truly lifegiving table in your home. I will also provide home-cooked meals from the book for you to enjoy! If applicable, the two winners may select a third guest to join, excluding travel expenses. Five sets of the books (The Lifegiving Table and The Lifegiving Table Experience). Get in on the story early and begin your journey toward creating a truly Lifegiving table in your home! Find out more here. 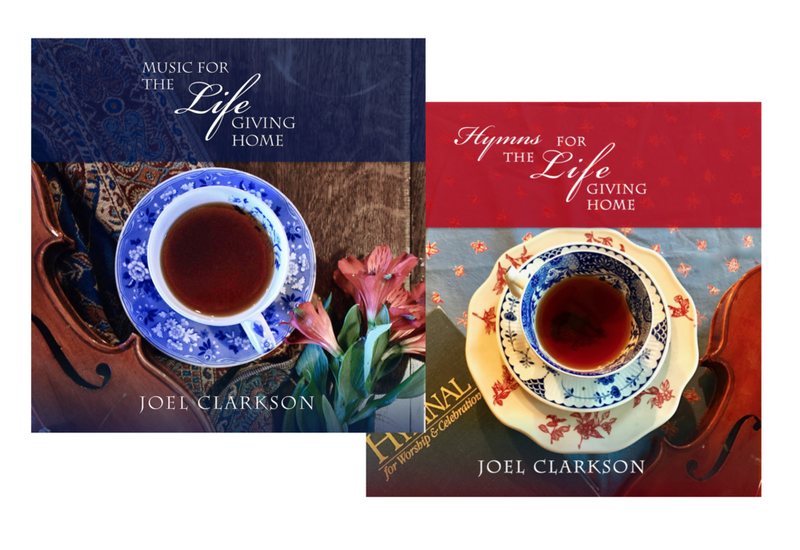 Five sets of Joel's CDs (Music for the Lifegiving Home and Hymns for the Lifegiving Home). Relish in these beautiful soundscapes of piano and strings as you enjoy a scrumptious meal! Find out more here. From creation to Revelation, this delightful volume from Bible translator Kenneth Taylor combines 125 of the most well-known passages of scripture with beautiful illustrations. A wonderful way for your children to engage with scripture! Find out more here. This beautiful large-print NLT Bible invites you into an interactive experience, with exquisite line art, which can be filled in according to your own creative response to the verses you are reading! Find out more here. This amazing year-long subscription provides in-depth recipes, grocery lists, and more to organize your eating and serving of meals! An incredible resource for anyone looking to bring order and consistency to their mealtime rhythms. Find out more here. Enjoy a year subscription to Sally's new membership site, Cultivating Life with Sally! Be inspired each month with recipes, articles, videos, and downloadable Bible studies and graphics, around the following topics: Discipleship, Education, Motherhood, Home, and Leadership. Enjoy this beautifully inscribed, hand-crafted work of wood art! Using a method called "pyrography," this creative artistic expression is sure to brighten your home! Donated by Darlene and Jason Collazo. Find out more here. The same unique wood art as the "strong tower" plaque, enjoy this alternative encouraging quote. Find out more here. Enjoy one of these artful stoneware mugs Dayspring! Dayspring offers a lovely catalog of inspiring gifts that encourage faith in your home. These mugs can hold up to 14oz, and are perfect for your favorite hot drink to go along with your daily table rhythms. One per winner. Find out more here. Also from Dayspring, you will be able to use one of these gorgeous trays to carry your food and drink to your favorite spot in your home, or even prop them up as decorative addition! Find out more here. Dayspring's final prize is a robust Lazy Susan with an encouraging message! Made to fit Dayspring's 14oz mugs as well, this elegant piece would look lovely as a centerpiece on any table. Find out more here. Look at this lovely pitcher being given away by Erica Stidham of Mary and Martha. The Grace & Gratitude ceramic pitcher features an embossed design with a beaded border and a touch of hand-painting on the top. It features a beautiful setting of I Chronicles 29:13 (NIV). Find out more here. Imagine this fabulous 100% organic cotton, hand-cut and sewn table runner on your table! Choose between solid indigo or striped blue and white. Thank you Tara Griesbach! Find out more here. 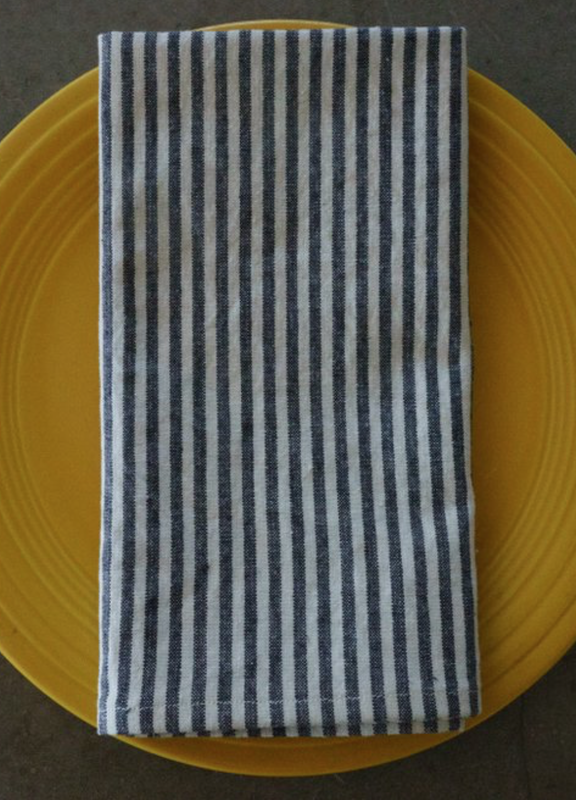 Also from 112 James St, these fantastic-looking cotton and hemp table napkins provide additional charm to any meal! Also available in solid indigo, or blue and white stripes. Find out more here. Ruth Chou Simons is one of my favorite artists. Enjoy this lovely print featuring Proverbs 24:4. Find out more here. GraceLaced is about more than pretty florals and fanciful brushwork; it's about flourishing. 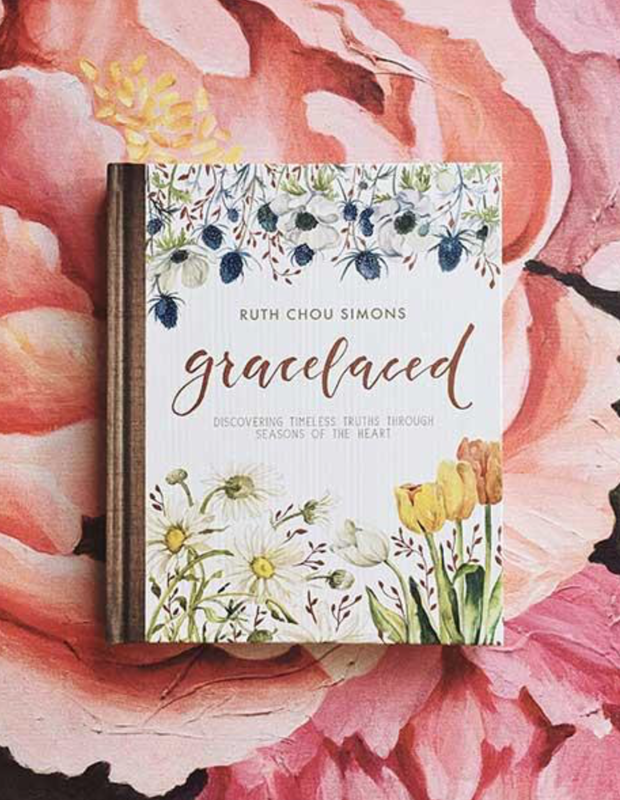 With carefully crafted intention, this beautiful volume of 32 seasonal devotions from artist and author Ruth Chou Simons encourages readers in any circumstance to become deeply rooted in God's faithful promises. Includes more than 800 individual works of art! Find out more here. Food and meals have great significance in the stories of the Bible. Jesus ushered in His ministry by providing new wine—the best of wine—at a wedding feast. The final evening before Jesus was going to be crucified, He strategically set the stage for His most profound messages to be shared with His inner circle during a meal. 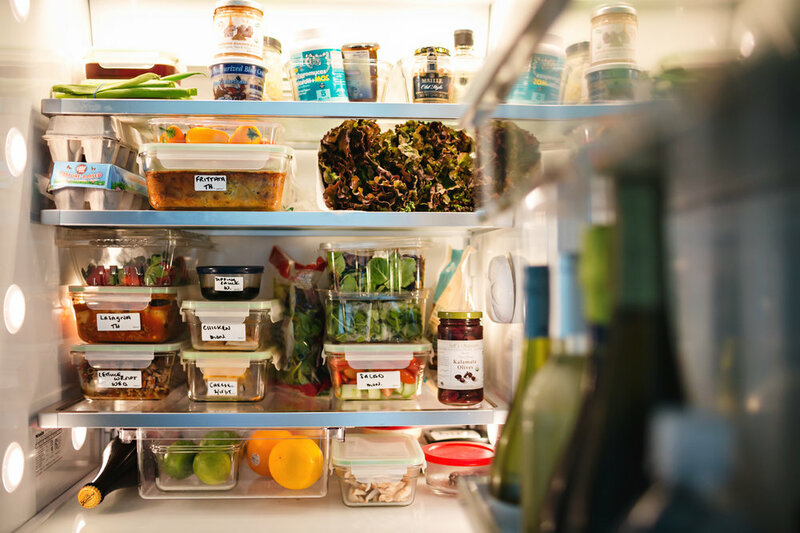 Following Scripture’s example, Sally Clarkson believes that meals lovingly served at home can be a significant tool in the lives of our family and friends, opening hearts and providing a setting for connection, counsel, and affection. Thousands have already enjoyed the study guide for the first book, The Lifegiving Home Experience. These are especially designed to be used across a wide variety of settings, from small groups to individual daily use. Join Sally and her children, Joel and Joy, in this guided experience to discover how food, faith, and Scripture come together in your everyday life—becoming the means of passing on God’s love and truth to each person who breaks bread with us. From working on college campuses, to sharing the Gospel behind the Iron Curtain as a missionary, traveling around the United States, Canada, Europe, the Middle East, Asia, and Australia to speak on discipleship, Sally Clarkson has tenaciously sought after God's kingdom, and has used her ministry to encourage others to do the same.